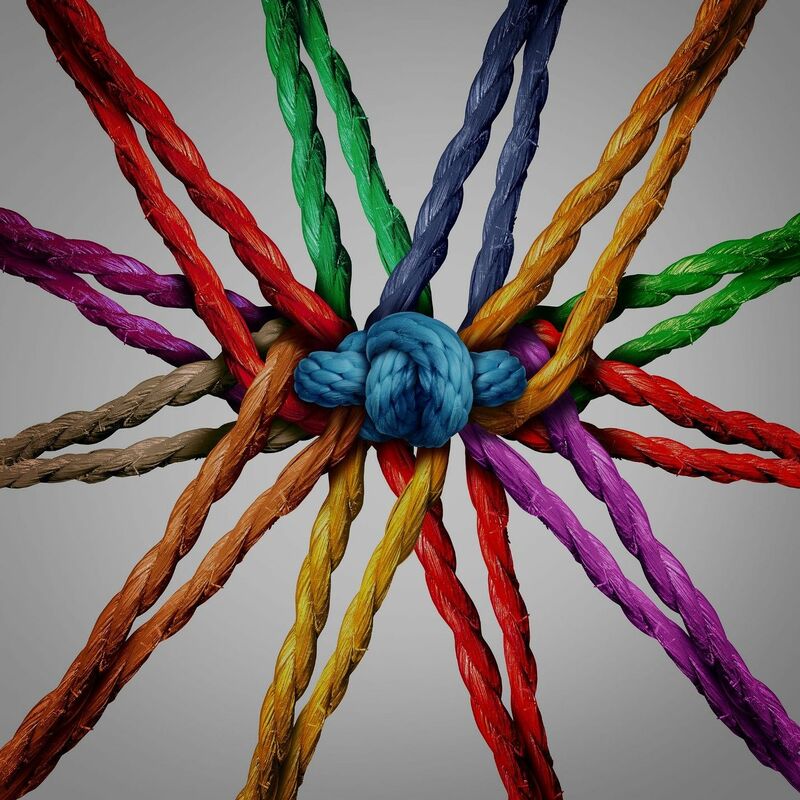 We should start with one of the most important factors to the overall effectiveness of your OE program – the level of integration and alignment within your organization. This depends on how well the people, processes and technology or equipment work together to execute your strategy. In other words, it depends on your management system. 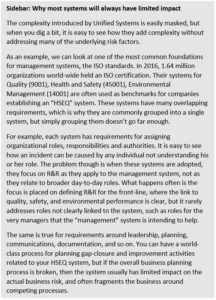 The International Standards Organization (ISO) defines a management system as “…the way in which an organization manages the inter-related parts of its business in order to achieve its objectives”. We like this definition for its simplicity but also because it highlights that a system is intended to manage all the variables that can impact a desired outcome. Just like a security system would be less effective if it monitored only your front door but not any of the windows or rear doors, a company’s management system needs to account for all the inter-related inputs for a desired outcome. This is where the idea of an “Integrated System” comes into play. The word “system” is often associated with software tools, but in this sense, we are referring to the entire system of people, processes and equipment working together to execute the strategy. In terms of Operational Excellence, most management system discussions revolve around managing quality, safety, environmental performance, and the like. When OE practitioners discuss integrated systems, these are the systems they usually have in mind. The most common is the merger of Environmental, Health and Safety (EHS), and in some cases this also includes Quality (EHSQ). These systems are intended to improve and integrate the way the organization manages things that impact performance across those four measures. These kinds of systems are often referred to as Integrated Systems, but we draw a distinction between these systems, which we will call “Unified Systems” and true “Integrated Systems”. The key distinction is, while Unified Systems combine different outcomes, they usually remain independent of the main business practices that introduce and drive the very risks they seek to manage. Unified Systems are, in many ways, better than discrete systems. They are more efficient and simpler, but they all run into the same issues of limited effectiveness, especially within companies that have multiple Unified Systems at once. For an in-depth view on why these systems have limited effectiveness, see our article on Creating a Truly Integrated System. The biggest weakness with all Unified Systems is their limited impact on the parts of the business driving the risk. 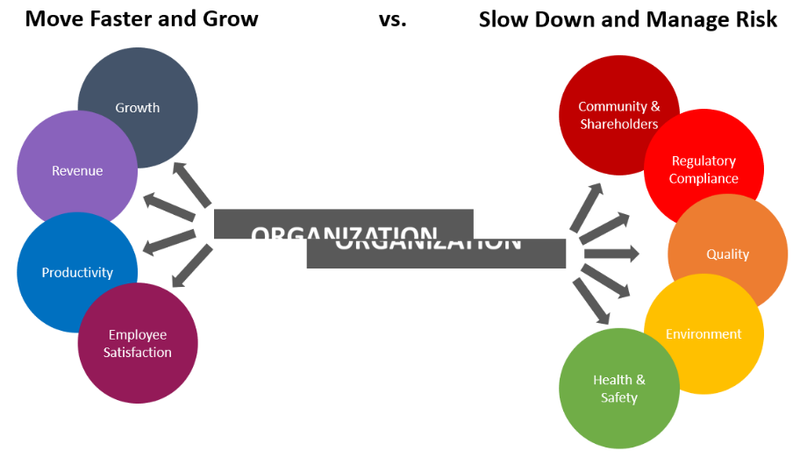 When one part of the business is driving towards a set of goals like growth, and a separate part of the business is driving towards a different set of goals like managing risk, the result is a fractured organization. Regardless of the Unified System’s sophistication, it will always be held back. Organizationally, it is the equivalent of driving by pushing on the gas and brake pedals at the same time, pulling the organization apart. Companies that effectively and efficiently achieve Operational Excellence utilize an Integrated Management System approach. On the surface, it may seem like semantics, especially since on paper Unified and Integrated Systems look very similar, but in practice they operate very differently. One key difference that goes unnoticed is that Integrated Systems don’t seek to create additional processes; they seek to change existing ones. They focus on how the existing processes introduce risk to the business and seek to improve the ability of existing processes at managing the risk. In an era where most companies are overburdened by complexity, integrated systems stand out by removing rather than increasing complexity. 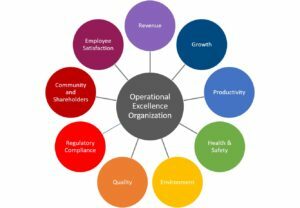 Back to Operational Excellence, companies seeking to operate in an Operationally Excellent manner use an Integrated System built around their definition of Operational Excellence (see our previous post for more on this). Since Operational Excellence should reflect all the outcomes necessary for achieving your strategy while upholding your mission and values, and every part of the business plays some role in achieving these outcomes, the Operational Excellence Management System ends up impacting every part of the organization. This is what makes the OEMS so effective – its focus is on making all of the interrelated parts of the business function as one, breaking across silos and barriers in the process. This goes beyond any tools and it is not just about process mapping or optimization. At its core it is about how the organization works together to make better decisions. The next few topics will look at distinct characteristics that make some Integrated Management Systems more effective than others. For a more in-depth look at the difference between Unified and Integrated Systems, click here. Endeavor Management provides its clients a world-class Integrated Management System framework that can be tailored for their organizational needs and regulatory/industry requirements. For more information on the Endeavor Management Integrated Management System, contact us and one of our Management System experts will guide you through the process.